Consideration was received for the editing and publishing of this article. This post is in line with my blogging policy. If you can’t stand the heat get out of the kitchen. Those words ring more true than ever on today’s top cooking competition shows. They are becoming so popular that it wouldn’t be surprising to see providers with TV offers and packages specifically for cooking shows like there are for sports. What has led to our competitive kitchen obsession? Let’s peel back the layers to see why reality show cooking competitions get millions of viewers every week. It all started with Iron Chef. The Japanese cooking competition made it’s way to the U.S. and captured our attention rather quickly. The idea of pitting chefs against each other was deliciously entertaining. Right away viewers were hooked for three good reasons. Food is a basic necessity of life. We all eat it, and we all enjoy it – well most of it. It’s also a way that we share our culture and express ourselves. It’s so interconnected to the human experience that anthropology courses now offer food studies as a part of the curriculum for a degree. Think about all the meals that you have shared with others over the years. The dinner table is a place where people come together. The kitchen is a place where we experiment and excite our senses. Every person has a connection to food, and these competition cooking shows tap into that. Let’s face it. Americans are a competitive bunch. From a young age we’re instilled with the idea of working hard to get up the corporate ladder, and because of that our country is the best in the world. Cooking competition shows blend our love for food with that competitive nature. We love the suspense of seeing which chef can come out on top. They also get us involved and invested. Each viewer has their favorite competitors either based on their personality, the dishes they dream up or a combination of the two. Some reality shows even allow viewer participation with voting and online forums. Just when you think you’ve tasted it all, the chefs on cooking competition shows turn it up another notch. 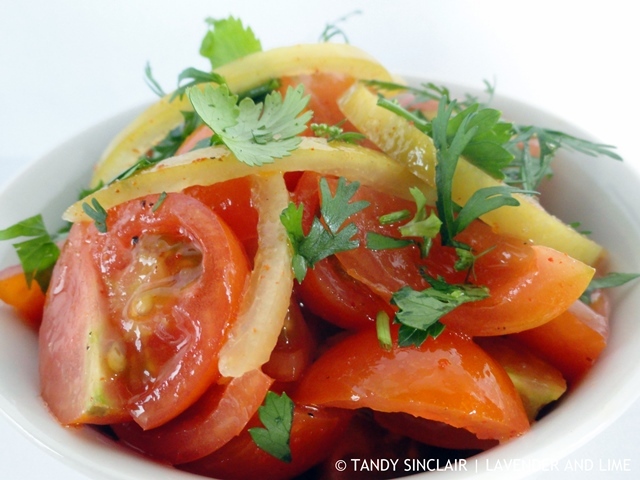 Your tried and true tomato salad turns into a Moroccan tomato salad. Burgers are much more than Angus beef between two grilled patties. Many of us tune in every week just to see what innovative dishes people will create. And of course, we curious chefs have to test them out in our own kitchens. The Food Network, Fox and even EsquireTV are among the many networks that have created cooking competition shows over the last decade. Tasha Oren, a professor at the University of Wisconsin-Milwaukee did a study of the Food Network’s growing list of competition shows. In 2005 there were just two. As of 2014 a total of 16 cooking competition shows were airing on the network. And these are just some of the top shows that are still running new episodes. There are many more shows from past seasons that can still be enjoyed On Demand and with reruns. It’s encouraging to see kids that are so enthralled and talented at whipping up dishes. These shows are also a great way to get your own kids interested in helping prepare family meals and learning more about essential cooking skills. Whether you love them or hate them, reality show cooking competitions clearly aren’t going anywhere. If anything we can expect to see more shows in the future that continue to push the culinary boundaries. I don’t watch a lot of food shows mainly because when I switch off for the day I want something different. But I do love watching the food truck show genre! Food is something that we all have in common, that’s why everyone loves watching those shows 🙂 Plus the suspense of finding out how is eliminated next, and who’s going to win! I love watching cooking competition shows for inspiration and I am pretty much obsessed with anything that is on the food network. Haha. You are so right Tandy! For me, I cannot get enough of Chopped. It’s addicting!!!!! I also love the Great Baking British experiment on the BBC. Since I bake almost none, I fill my need there. Hell’s Kitchen is quite interesting too. By time wasters all!!! I love the food network! We have the Great British Bakeoff (featuring Mary Berry) here in the UK and its an absolutely brilliant show! SBS Australia has started it’s own food channel with most of the content from The Food Network. It’s not highbrow but is is free. I enjoy Chopped for a bit of fun as is Cuththroat Kitchen. On commercial television, My Kitchen Rules continues to rule the airwaves. Have you seen the young ones compete? It is so interesting and just amazed at seeing how young they are and what they can do in the kitchen.